Don’t waste your 20s away. Instead, look at this decade as a valuable time to gain crucial career skills and wise financial habits. Got your degree? Great. Don’t be fooled, though; you need to continually be learning and growing in your career to be successful. How can you do that? These 4 job lessons for your 20s will help. It’s so easy to brush off criticism as a personal attack or a foolish comment. While you shouldn’t let criticism destroy your self-image, it is important to look at it as a tool. Consider who is giving you the criticism. Is it someone you want to be like, or someone you want to impress? Then learn from what they say and make changes. Be sure to follow up after you implement those changes to thank them and ask them what their thoughts are. If the criticism is coming from someone you don’t know or respect, look for a second opinion. Sometimes strangers can give us valuable feedback because they don’t feel obligated to sugarcoat things, and other times, there’s value in getting an outside perspective in general. What they say might be true, or it could be misplaced feedback. That’s why it’s best to get a second or third opinion from someone you respect and trust. The millennial generation was raised on computers and are experts at communicating via text and social media. However, verbal communication is and will always be powerful. Improve your communication skills and you’ll be better at networking, too. Networking is essential for career growth. Along with communicating well, learn how to start interesting conversations to make lasting connections with people in your industry. Professionals that have been granted pay raises, better job positions, and special perks are usually the ones who have asked for them. Learn to ask for more in a way that is persuasive and effective (negotiating skills are a must). It’s also important to be deserving of what you ask. Don’t ask for and expect a raise if you’re a poor employee who always shows up late. Entitlement doesn’t get you very far in the workplace. Anxious about asking? Remember, the answer is always “no” if you don’t ask. Also, what’s the worst that will happen to you if you ask for a raise or a perk? The worst thing is the answer will be no. No one is going to beat you, publicly shame you, or fire you, so stop putting so much effort into worrying. Brian Tracy recommends this advice to all individuals who want to stand out at the workplace. He says that when you’re the first in the office, you’re able to get an incredible amount of work done because the office is quiet. Your boss will notice that you’re getting much more done than your co-workers and reward you for it. (If they don’t, remember tip #3!) Being the last to leave shows that you’re committed to the company. While the rest of the millennial generation is partying it up and figuring out how to pay their bills on time, you can be improving your job skills and setting yourself up for a raise. What you learn now can benefit you instantly, as well as for many years down the road. 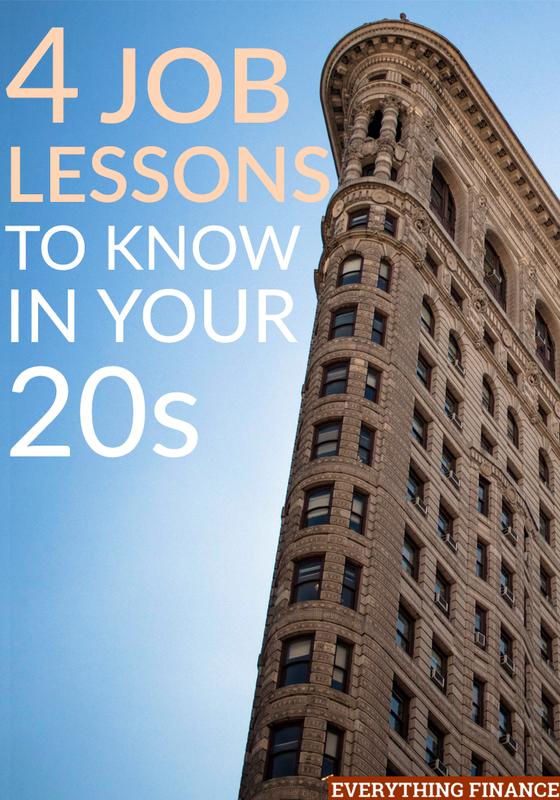 What are some job lessons you learned in your 20s? Do you always seek to improve your job skills? Have you put any of these tips into action already?